We have a winter share season with 250+ members, but sometimes you just can’t have enough ICF vegetables on hand for your holiday meals. Or your neighbors have wondered where you get all your fabulous, local produce. We have solutions and answers! 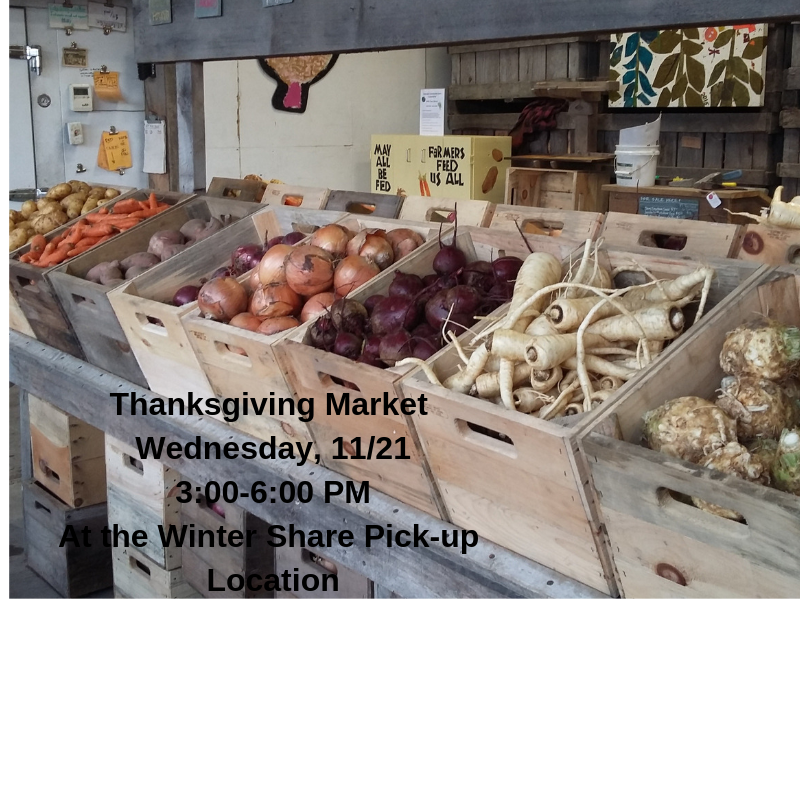 On Wednesday, 11/21 we will offer on-site purchases of our root vegetables, squash, cabbages, and kale for everyone! Spread the word to your family, friends, neighbors. We will have things set up for quick selection and sale to get you in and out quickly with your veggies.